Houston and the Gulf Coast have emerged as the epicenter for defective Takata airbag malfunctions, thanks to the area’s combination of high heat and humidity. The Houston Chronicle recently spoke with Farrar & Ball’s Wes Ball about safety concerns caused by extreme delays that vehicle owners are experiencing when trying to replace the recalled airbag inflators. Houston is emerging as an area of special concern. The airbags tend to degrade more rapidly in hot, humid climates and the National Highway Traffic Safety Administration says the city has one of the lowest repair rates in such environments. 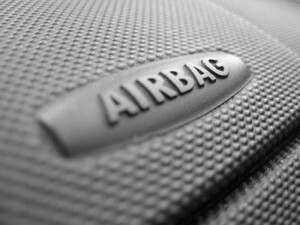 Defective airbags have been linked to at least 11 deaths and hundreds of injuries. The Takata recall affects more than 70 million units installed in a variety of car brands, although Honda and Acura vehicles account for the majority of the recalls. In many cases, vehicle owners have been alerted to the dangers but manufacturers like Honda have been unable to replace such a large number of airbags. Despite industry promises, few car owners have received loaner cars to drive while they wait for their repair work to be performed. As a result, motorists are driving in vehicles they know to be dangerous. “It’s corporate greed at its finest,” says Mr. Ball.